In Somalia's Historic Presidential Election, A Surprise Victor Declared : The Two-Way The vote took place under tight security and is a big step in a country that hasn't had a functioning central government for the past 26 years. 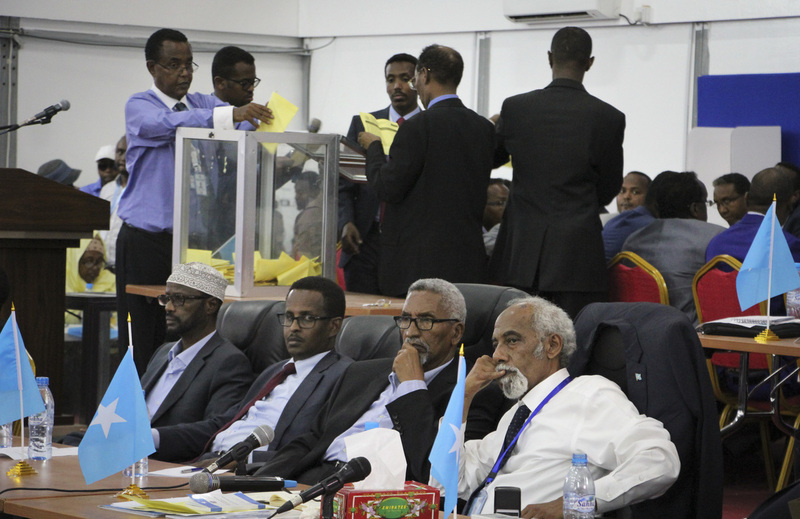 Votes cast by Somali parliamentarians are counted in the first round of the presidential election on Wednesday in the capital, Mogadishu. A surprise winner has been declared in Somalia's presidential election — Mohamed Abdullahi Farmajo, a former prime minister and the popular favorite who was running against the incumbent president. Somali lawmakers cast their votes in a heavily fortified airport in a country plagued by regular militant attacks. Twenty candidates were whittled down to three after the first round — including the incumbent, Hassan Sheikh Mohamud, who had been accused of vote-buying. According to the U.N. Assistance Mission in Somalia, Mohamud won the most votes in the first round, followed by Farmajo, a former prime minister and the eventual winner. "And even though the process was rife with corruption from all sides, a vote for Farmajo is seen as a vote against corruption," as NPR's Eyder Peralta reports from Nairobi, Kenya. "That this is taking place is still remarkable. The process has involved more Somalis, and in particular more women than even before, and it will put in place the final piece of Somalia's central government. 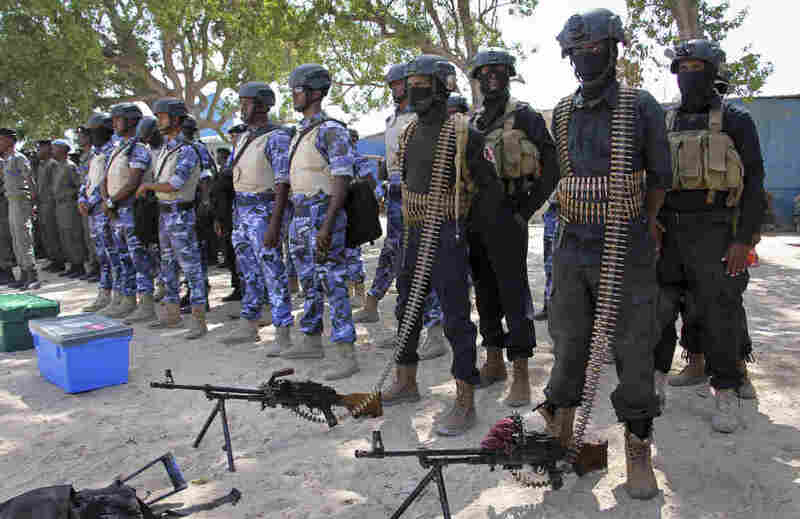 And that's important, because Somalia hasn't had a functioning central government since warlords overthrew the country's dictator 26 years ago." This is the culmination of a process that took months, as Reuters reports. It "began with 14,000 elders and regional figures choosing 275 members of parliament and 54 senators," who then chose a president. The process has its critics. As Eyder reports, it's been delayed four times because "the security situation, corruption, political infighting, made sure that the government wasn't ready to hold a nationwide election." Eyder says anti-corruption groups have accused parliamentarians of selling their votes — particularly to Mohamud, who allegedly used government funds to buy them. If he had won, Eyder adds, activists would say that "would send the message that corruption still rules in Somalia." The Associated Press describes Somalis crowded around TVs, watching the process unfold. "I hope they will not choose bribes over the interest of the people." Ahmed Hassan, a 26-year-old university student, told the wire service. "We need an honest leader who can help us move forward."